An intensely nourishing and smoothing face cream to improve skin hydration, firmness and elasticity, while helping to diminish the appearance of fine lines and wrinkles. Hydrating Sea Amber helps lift and firm, while tensing Larch boosts moisture for skin that's soft, supple and comforted. Suitable for maturing, dull or dehydrated skin types. Water (Aqua), Hydrogenated Ethylhexyl Olivate, Glycerin, Hydrogenated Olive Oil Unsaponifiables, Oryza Sativa (Rice) Starch, C12-16 Alcohols, Sorbitol, Cetyl Alcohol, Polyglyceryl-3 Methylglucose Distearate, Sodium PCA, Phenoxyethanol, Palmitic Acid, Lecithin, Galactoarabinan, Avena Sativa (Oat) Kernel Extract, Sodium Lactate, Glycine Soja (Soybean) Oil, Glycine Soja (Soybean) Sterols, Tocopherol, Sclerotium Gum, Xanthan Gum, Cedrus Atlantica Bark Oil, Citrus Aurantium Bergamia (Bergamot) Fruit Oil, Hexyl Laurate, Lavandula Angustifolia (Lavender) Oil, Helianthus Annuus (Sunflower) Seed Oil, Benzoic Acid, Limonene, Linalool, Pimpinella Anisum (Anise) Extract, Trehalose, Dehydroacetic Acid, Cananga Odorata Flower Oil, Persea Gratissima (Avocado) Oil, Boswellia Carterii Oil, Citrus Aurantium Amara (Bitter Orange) Leaf/Twig Oil, Pogostemon Cablin Leaf Oil, Sodium Hyaluronate, Biosaccharide Gum-1, Caprylyl Glycol, Angelica Archangelica Root Oil, Anthemis Nobilis Flower Oil, Ethylhexylglycerin, Eugenia Caryophyllus (Clove) Leaf Oil, Helichrysum Angustifolium Flower Oil, Jasminum Grandiflorum (Jasmine) Flower Extract, Styrax Tonkinensis Resin Extract, Cetearyl Alcohol, Pelvetia Canaliculata Extract, Sodium Hydroxide, Eugenol, Benzyl Benzoate, Hydrogenated Palm Glycerides Citrate, Cinnamomum Cassia Leaf Oil, Cinnamomum Zeylanicum Leaf Oil, Phytic Acid, Geraniol, Cinnamal, Benzyl Salicylate, Chlorphenesin, Tetrasodium EDTA, Citral, Farnesol, Ascorbyl Palmitate, Sorbic Acid, Pimenta Officinalis (Pimento) Fruit Extract, Butylene Glycol, Hexylene Glycol. Am loving my Lift and Firm Moisturiser. 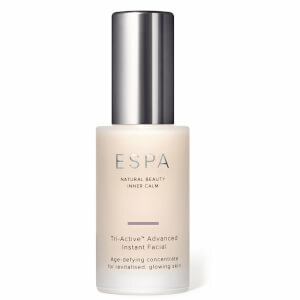 At 66, my skin needs all the help it can get and this moisturiser really helps. I find this product excellent and am extremely pleased with my purchase. I really like this product! It is very light, non greasy and absorbs quickly. Was a little doubtful at first, as it is so light, but it has really good results on my skin. I'm in the 60+ age bracket. beautiful product, lovely on the skin no stickiness & dries quickly. It smells gorgeous makes my skin feel really good and definitely firmer. 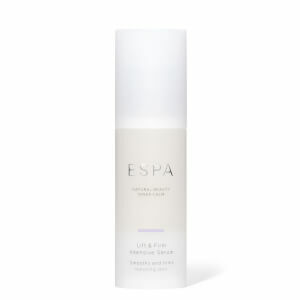 Super moisturiser, that actually helps my skin tone, feels great on and smells divine - love it! 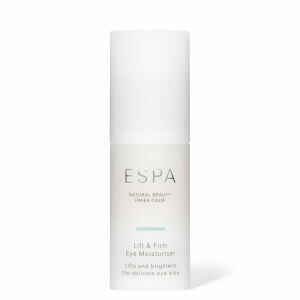 This moisturiser is quickly absorbed and leaves the skin feeling soft. I have used it for a few years now and am delighted with the results. This is a really good pick me up product this time of year particularly for maturing skin. Really light consistency and noticeably lifts. This moisturizer has a great texture. Together with the lift serum the effect is amazing.